Each Sweet Heather Anne cake is a labor of love tailored to your special event or corporate branding. All of our cakes, fillings, and buttercreams are made from scratch using the finest ingredients, favoring local whenever possible. As a team of artists we put just as much time and focus into designing and decorating our cakes. 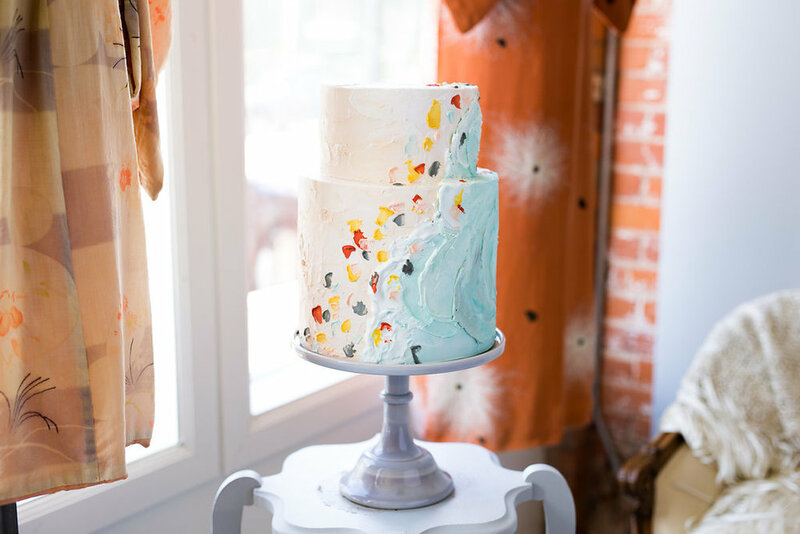 The result is a stunning and delicious cake that will impress and delight your guests. Because of the care and attention to detail that go into our custom cakes we have very limited availability. We recommend securing your date on our calendar at least one month in advance. We always try to accommodate last minute orders, but once a week is booked we stop taking orders to ensure that quality doesn't suffer. Our custom cakes start at $500, and are priced based on the number of servings and the complexity of the design. If you are looking for a cake that is under $500, you may be interested in our beautiful, pre-designed cakes in our online shop.